The error was an honest mistake. I wish it hadn’t happened, but the correct information needs to be out there. The paper explored the extent to which two government programs—Medicare’s Hospital Readmissions Reduction Program (HRRP) and the Hospital Value-Based Purchasing program (HVBP)—put safety-net hospitals at a financial disadvantage by reducing payments for excess readmissions. But within a week after the paper was published, researchers who analyzed the same publically available data contacted the journal with their concerns. That same afternoon, I replied to the editors and told them about the coding error. As gut wrenching as the discovery was, we wanted to correct the literature as quickly as possible. Given that the error changed the implications of the paper, we decided the retract and replace was the best approach. 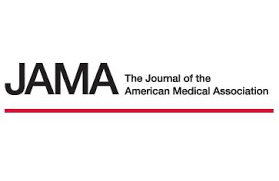 A retract and replace has become an increasingly popular option for JAMA and a few other journals, to allow authors to correct honest but pervasive mistakes. The authors got to work revising the paper, “incorporating the different but correct information.” Hockenberry said that the “main thrust of the paper was largely unaffected”—the gap in financial penalties between safety-net hospital and other hospitals had indeed narrowed over the past few years. But the reason for the narrowing had changed: They found that non-safety-net hospitals are being penalized more than previously. Readers noticed that the excess readmission ratios were lower than would be expected. In reviewing our data, we found that we had made a coding error while conducting initial sensitivity analyses. We assigned hospitals that had an insufficient volume of patients for the given HRRP conditions as having an excess readmission ratio value of 0, rather than a value of 1. Assigning a value of 1 implies that the low-volume hospitals’ readmissions were no different than expected, which is what we intended. In contrast, assigning them a 0 implied perfect performance (no readmissions), which we did not intend and which overstates performance. In addition, in reviewing our analytic files, we discovered we had applied exclusion criteria to our sample of hospitals that were salient to earlier published work but not to this study, resulting in 163 hospitals being excluded from the analysis. If safety-net hospitals are unfairly exposed to higher penalties, it may thwart their safety net mission. The broader issues are the extent to which these penalties, even though they are now similar in both types of hospitals, will have a disproportionate impact on the populations served by safety net hospitals and whether as the program expands the number of conditions nearly all hospitals will essentially start incurring some penalty. This was an honest coding error that does not change the author’s overall conclusion that the performance of US safety-net hospitals in the Hospital Readmission Reduction Program improved between 2013 and 2016. However, there were errors and now corrections in some of the specific findings as detailed by the authors in the Notice. The decision to accept this Research Letter was not based on the specific findings per se but rather on the merits of the study design and importance of the topic. The editors believe that the study is still valid and with the authors published the Notice of Retraction and Replacement to correct the original article.